The infestation of mold can cause serious health risks, discoloration of surfaces, and can even cause structural damage to your property. Mold can grow almost anywhere moist conditions exist, and if left unchecked, can have serious impacts on both your quality of life and your home’s physical structure. 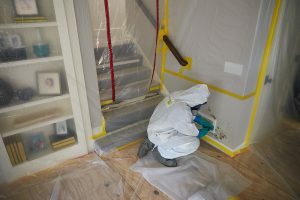 As experts in mold remediation, ServiceMaster Restoration by David R. Dean & Associates will take a systematic approach to carefully identify the source of the mold growth and help eliminate mold from your home or work environment. Why call us if you suspect a mold problem? Acting fast is crucial. If wet building materials are professionally dried within 24 hours of getting wet, there is a high chance of preventing mold growth. If the materials remain wet, it is highly likely that mold will start to grow. Our technicians are on call 24/7 to provide service. Mold can affect your health. Potential side effects of mold infestation include headaches, difficulty breathing, allergic reactions, and skin irritation. The structure of your building is at risk. Mold can grow anywhere and gradually destroy surfaces, including drywall, HVAC system, foundation, roof, furnishings and more. You might not see it. 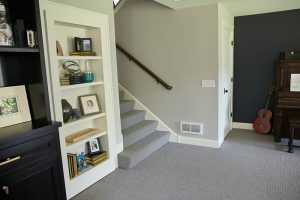 Mold may never be visible since it can grow in the walls and under the floor. Some common signs of mold are musty odors, respiratory symptoms such as coughing, sneezing and difficulty breathing, and dark spots on your ceiling, floors or wall. As soon as you think there is potentially a mold problem, act quickly. Once mold is present, drying is not enough. Materials affected with mold must be removed or decontaminated. Trust the experts at ServiceMaster Restoration by David R. Dean & Associates to remediate mold in your home or business.